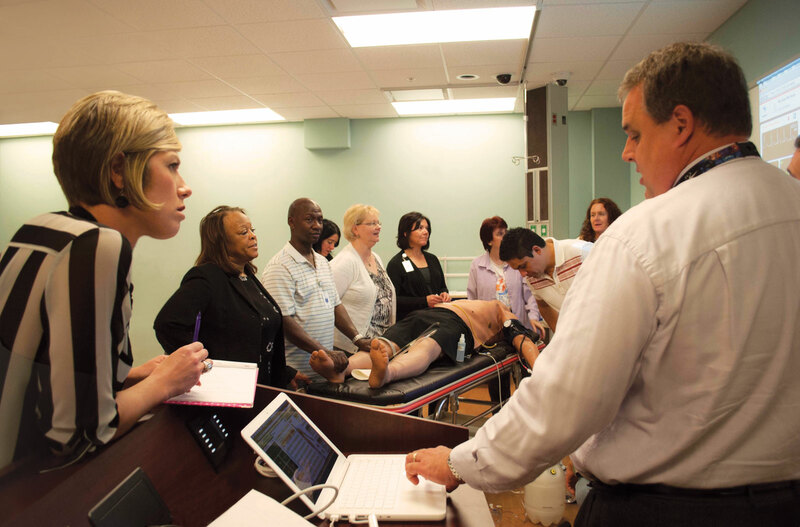 The CAE Healthcare two-day Patient Simulator Essentials Course covers the foundational knowledge and skills that participants need to effectively use their patient simulator in simulation-based education exercises. This course incorporates international standards and best practices of simulation education. In day one of the training, participants learn how to prepare and use the simulator in a simulation, as well as how to carry out basic simulator maintenance. The course focuses on using a Simulated Clinical Experience (SCE) programmed by CAE Healthcare, but also explains how to run the simulator manually (on-the-fly). In day two, participants learn how to plan and design a simulation, how to use facilitation techniques to support learning before, during, and after the simulation, and strategies for including patient simulation in their institution’s curriculum. Registering for Patient Simulator Essentials? Don't forget to register for the followup course, Programming with Physiology.